Many people have watched or read The Secret and believe that you can ask the universe for any material thing you would like and the Law of Attraction will deliver it to you. But of course it's not as simple as that. You have to change the way that you think if you want to change your world. 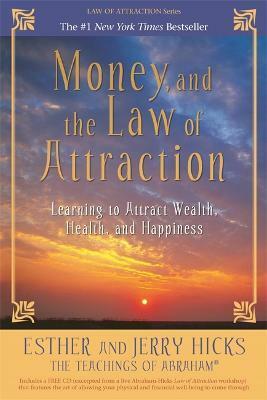 In this extraordinary book Esther and Jerry Hicks outline the secret behind the Law of Attraction. They explain clearly how to focus your energy to manifest prosperity. Abraham's powerful techniques will teach you what prosperity truly is and enable you to use the Law of Attraction to bring this energy into your own life. This edition includes a transcript of a live Abraham workshop. There is enough for everyone. The key is for each of you to see it and want it - and then you will attract it. Know that you have the power to attract whatever you desire. Affirm that money flows to you easily and that you have an unlimited supply of abundance and prosperity. Esther and Jerry Hicks have dedicated their lives to communicating the Abraham-Hicks teachings to people around the world.